Everton manager Marco Silva has warned defender Yerry Mina he needs to become more consistent in training if the Colombian hopes to establish himself as a first-team regular. Mina joined the Toffees on transfer deadline day last summer for £28.5m from Barcelona but a lack of fitness and form has disrupted his progress at Goodison Park. He is likely to be given his first Premier League start of 2019 when Chelsea visit Merseyside on Sunday afternoon, live on Sky Sports, with Kurt Zouma unable to feature against his parent club and Phil Jagielka injured. But if Mina has designs on moving ahead of first-choice centre-backs Zouma or Michael Keane then the 24-year-old has to start delivering more on the training pitch, according to Silva. The Portuguese said: "What I ask to see from him is more consistency at Finch Farm. The first thing I hope is to see Yerry Mina working every day until the end of the season. "His first season in the Premier League is completely different to everything that he had in his career playing in Colombia and after in Brazil and after in one club like Barcelona. "Everything is completely different with what is happening in the Premier League. 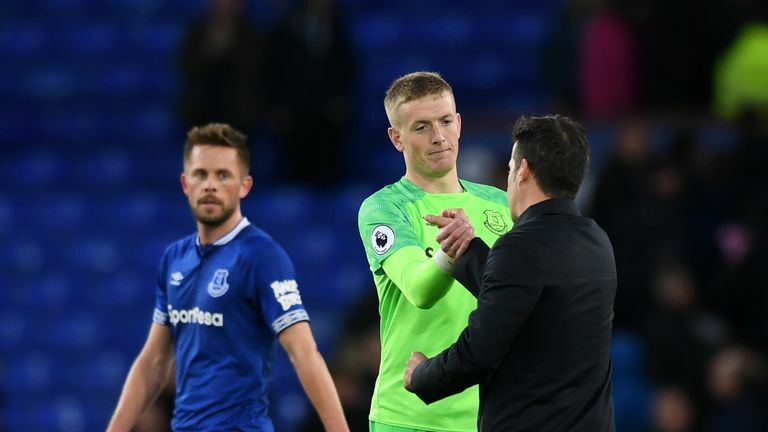 Everton boss Marco Silva says goalkeeper Jordan Pickford has his full backing, despite struggling for consistency this season. "But he can get to be a really important player for us. We believe in him and we spent the money on him because we believed in that moment he could be a very good solution for us. "He has to adapt as soon as possible, as fast as possible to this competition, to the big challenges he will have every single match. "But he has to be more consistent here and he has to have some luck (with injuries)." Mina made his Everton debut at Stamford Bridge last November, helping to keep the likes of Eden Hazard, Willian and Alvaro Morata subdued as Chelsea were held to a goalless draw. Silva has called for a repeat performance against Maurizio Sarri's top-four hopefuls as Everton look to bounce back from surrendering a two-goal lead to lose 3-2 at Newcastle last weekend. 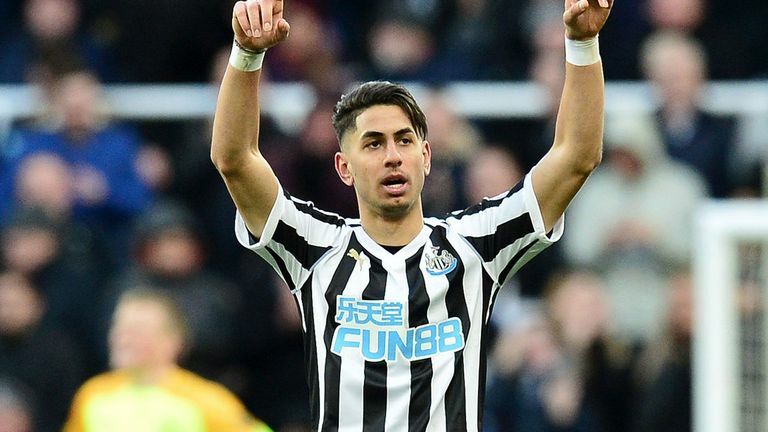 Highlights from Newcastle's 3-2 win over Everton in the Premier League. Silva said of their previous meeting in this campaign against Chelsea: "We did a very good game because we had our chances to score the goals. "We were solid but we didn't play just without the ball, we played with the ball also, we showed quality with the ball. "There was good intensity in the game, some good moments in our offensive organisation, some good counter-attacks also and it's everything we should do on Sunday. "We have to be solid because we know against them they are really strong with that frontline and the players they have in the middle and the individual quality they have. "You are here playing at Goodison and if you have achieved a good result against them away, you have confidence you can achieve maybe better at home with our fans, with the atmosphere we expect at Goodison again. "They can push us to achieve the three points and to try to get the three points more or less we gave away the last game."